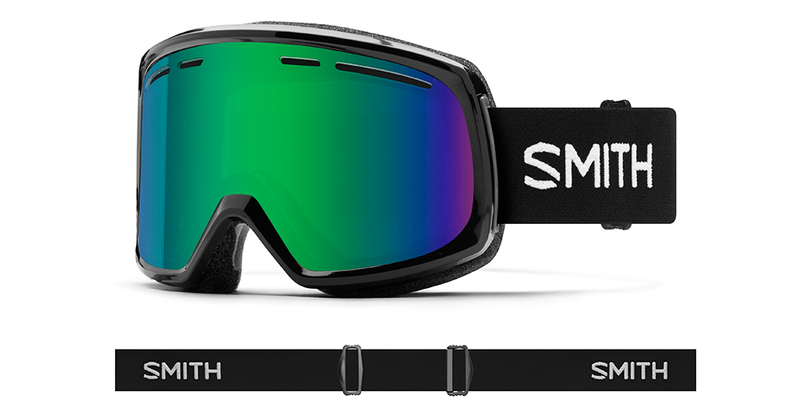 Smith Range Goggles are a new offering in the 2018 Smith Goggles collection boasting all the quality, performance & style that Smith is known for at a price that doesn't break the bank. 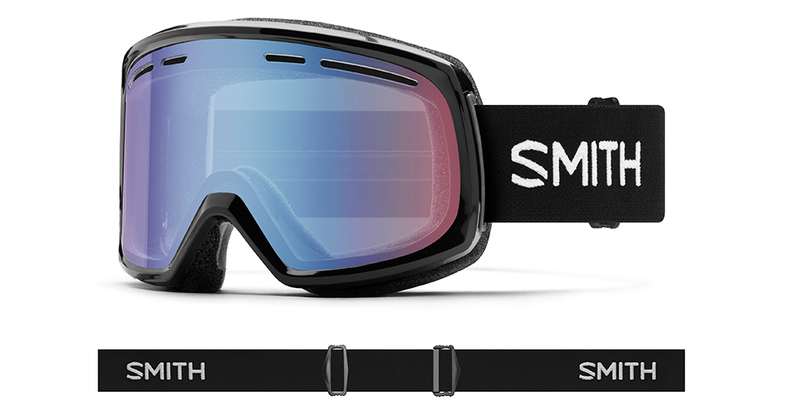 Smith Range goggles deliver a universal unisex design with a medium to large fit profile, if your looking for a goggle that is affordable & functional the Smith Range is a solid choice. Go ahead and pick up a pair from Action Sport Optics, a trusted leader in sport & lifestyle optics. 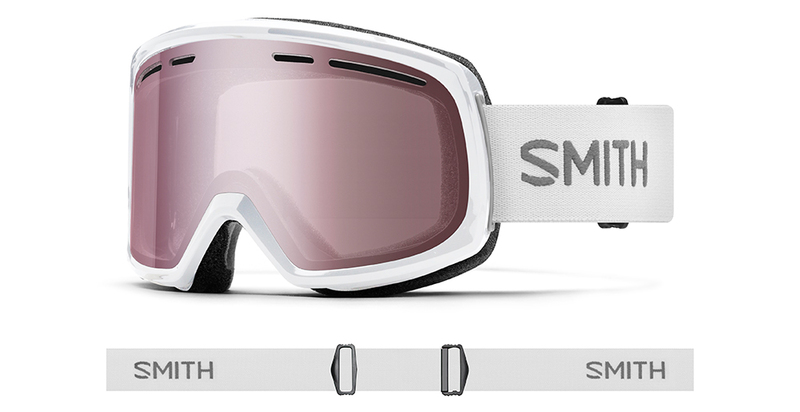 Fit Profile: Smith Range frames have a med-leg fit profile. 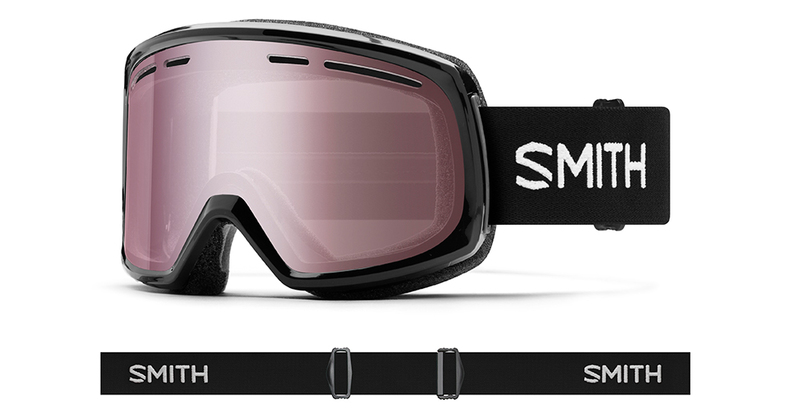 Frame information: Smith Range goggles are a Med to Large fit frame made with a flexible polyurethane frame material that is designed to work in unison with different face shapes & sizes. 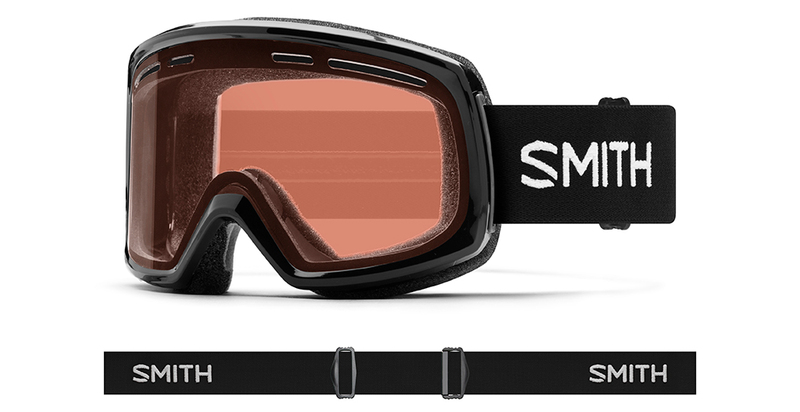 2018 Smith goggles uses a unique urethane compound that maintains flexibility even in the coldest of temperatures. The 2 layer Dri-Wix face foam gives a ultra comfortable customized fit, and the silicone ribbed strap prevents the straps from slipping on helmets. 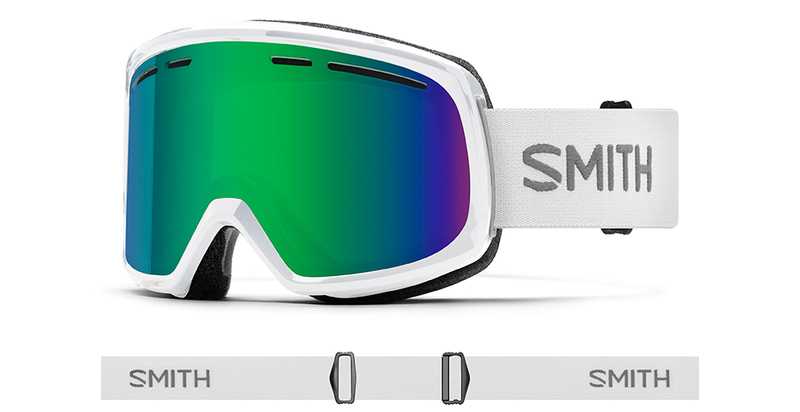 Smith Range Lens information: Smith Optics makes the best lenses on the market & provide superior protection from harmful UVA-UVB-UVC rays. 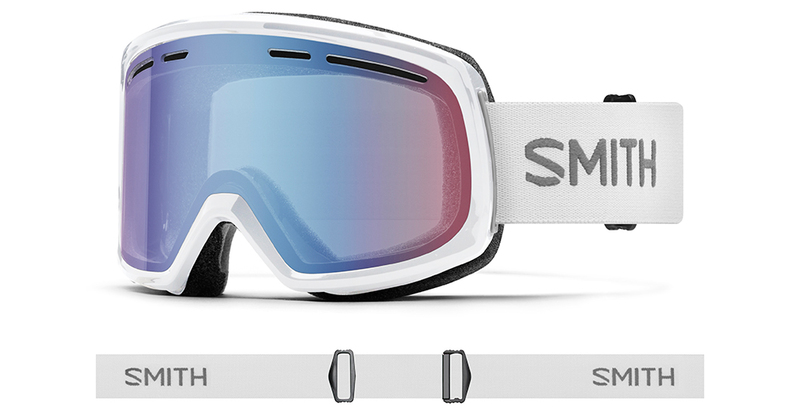 The 2018 Smith Range utilizes TLT ( Tapered Lens Technology ) lens technology which provides perfect vision in all conditions by straightening out the incoming light rays by tapering them out from the center out to your peripheral view providing 100% clarity & accuracy. 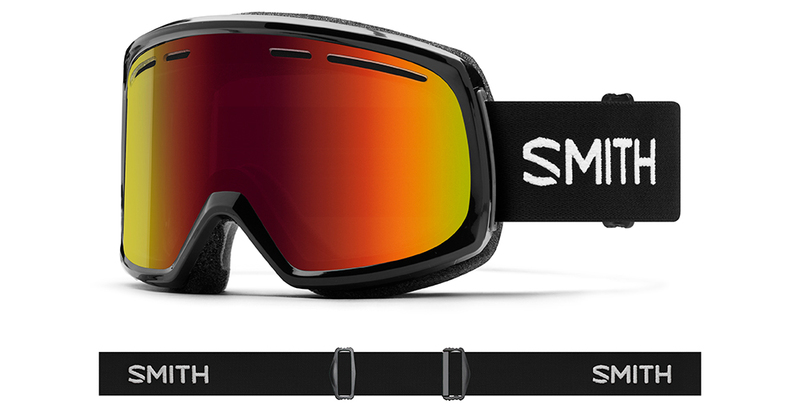 2018 Smith goggles have set the standard in lens quality with their Carbonic-X Lens which meets class 1 optical standards as well as ANSI Z80.3 safety & quality standards, there simply is no better lenses available on the market. 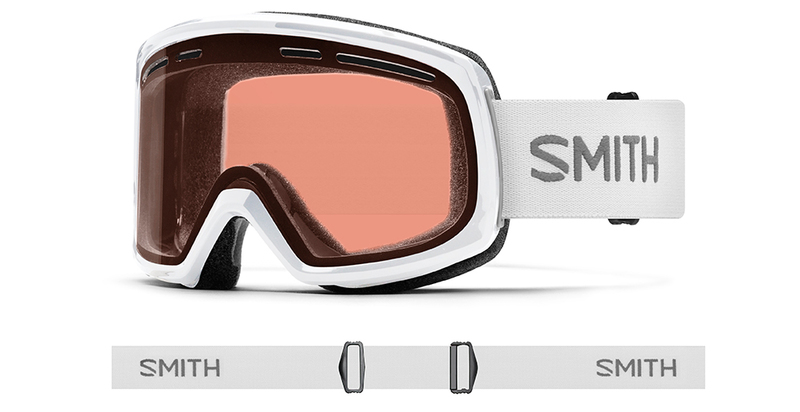 Green Sol X Lens Information: The Smith Squad with Green Sol X Mirror Lens has a VLT ( Visible Light Transmission ) of 12 %, with a dark sienna brown tint, this performance lens is best for bright sunny conditions. Blue Sensor Mirror Lens: Has a light rose based tint with a VLT ( visible light transmission ) of 70%. This is a performance lens for variable conditions both sunny & cloudy. The multi layer mirror maximizes color definition and increases definition. Red Sol X Lens Information: The Red Sol X Mirror Lens has a VLT ( Visible Light Transmission ) of 17%, with a dark sienna brown tint this performance lens is best for bright sunny conditions. Ignitor Lens Information: The Ignitor Lens option has a VLT ( Visible Light Transmission ) of 35%, this is universal lens tint that performs well in both sunny and lower light conditions, a true multi tasker!